Lenders can and will monitor your purchases until closing – it’s important to make each purchase count! The last thing you want is to go on a spending spree to furnish your home right before you close; the lender will wonder why you’re putting a $5k 3DTV on a credit card. When it comes down to it, you’re just going to want to err on the side of caution in the days leading up to buying a home. Even if you are going mostly with cash when you’re buying a home, just be careful. When you’re buying or refinancing a home your lender is going to keep an eye on things until closing. It was once the most expensive home listed in America at $125m, but after drastic price cuts it looks like it’s heading down the pipe at $25m – with no guarantees that it will sell at all. It begs the question: how much is too much when it comes to luxury real estate? Is this Mediterranean style mansion in Miami’s South Beach really worth the asking price, or is it just wishful thinking? When you’re thinking about buying a condo, you need to start doing your research. You’ll want to know the regulations of the condos you’re interested in. You need to know what the verbal homeowners’ association board regulations and especially what the fees are before you put down a bid. You need to know that they have plenty in the emergency fund and you’ll want to make sure that you have the condo inspected BEFORE you put your deposit down. Like they say, knowing is half the battle, and the more you know the better off you’ll be when you buy a home. With so much doom in gloom, is now really the right time to buy a home? Are you better off waiting? If you check out the news you’ll see the last TEN YEARS have been doom and gloom for the housing industry – at least that’s what analysts have been saying. When you really look at the situation you’ll see that the ups and downs just aren’t affecting the luxury real estate market like they are midrange homes. With so much foreign interest and beautiful homes to choose from, now is a great time to find the home you’ve always wanted. While Canada day is far behind us, it’s time to enjoy the great weather and check into the little things that can become big things once fall and winter swing back around. Summer is a great time to run a home energy audit, clean up patio furniture and run exterior maintenance like weather treating your deck and cleaning any and all concrete and paths. A little maintenance now can help you avoid big problems later. Patching cracks in your concrete and asphalt now will help you avoid nasty holes once the rain starts is important, but don’t forget to prune your trees and shrubs too! While most of us approach raccoons as if they’re marauding urban (and suburban) pests that like to make a big mess and clear out before you wake up in the morning, they’re actually really interesting critters! Last month we talked a little donut news, but now with the CNE in full swing, we're seeing the Cronut sensation sweeping Canada. What the heck is a Cronut and why is it sparking a black market on Kijiji for people to get their fix? Toronto’s housing market has seen some ups and downs over the last year, but July has seen an 8% increase in selling prices bringing it up to $514,250 on average. Fewer homebuyers are coming out to buy, which may be due to awkward market conditions and some of the mortgage rule changes Canada saw last year. Sales in the Toronto area alone were up 16% compared with July 2012, clocking in at about 8500 new homes sold. This time of year the amount of fresh fruits available is AMAZING, but if you’re like most Canadians, you’re health conscious. You want to make sure that you’re not eating too much sugar… but what about fruit? With low carb diets being one of the biggest ways Canadians are taking off the pounds, it’s important to remember that you need to get your fruit! Fruit provides so many benefits and the sugar that you’ll get from fruit isn’t linked to adverse effects like sugar found in sodas, processed foods and more. 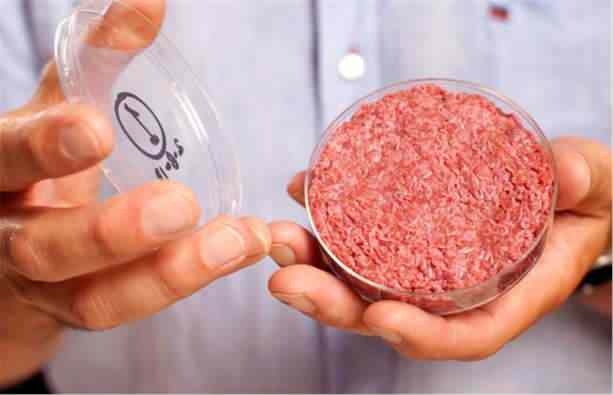 From cronuts we move to the (hopefully not) next big thing in food: lab grown meat! To be served August 5th in London, it’ll have to pass the taste test at a public tasting. For the last couple years a Dutch scientist, Mark Post, has been working in the lab trying to create the “perfect, cruelty free meat”. Taking cells from the muscle tissues of cows he’s grown fibers that eventually became the delicious meat we enjoy today – all without the pressures and inhumanity of old fashioned animal husbandry. We know that it can be done… but do we know it’ll actually taste any better than some of the other “meat alternatives” most of us have tried in the past?